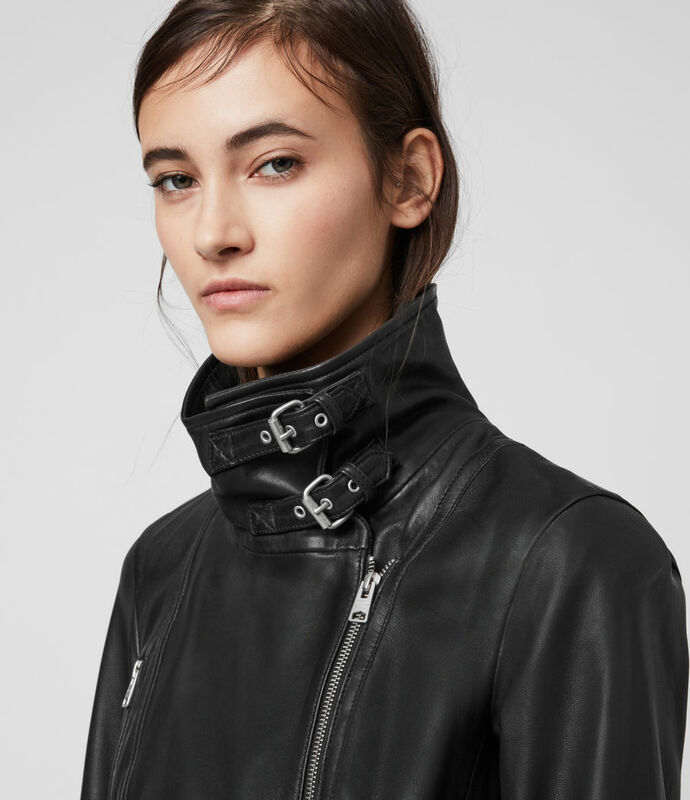 Our best-selling Bales Biker Jacket stands out with it's high funnel neck collar and double buckle fastenings designed to keep out the cold when you need it to. 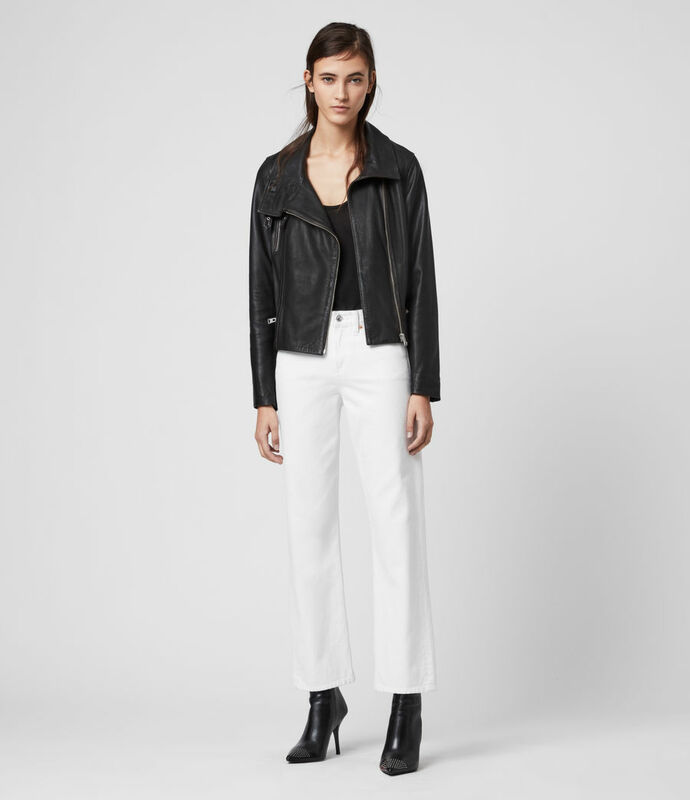 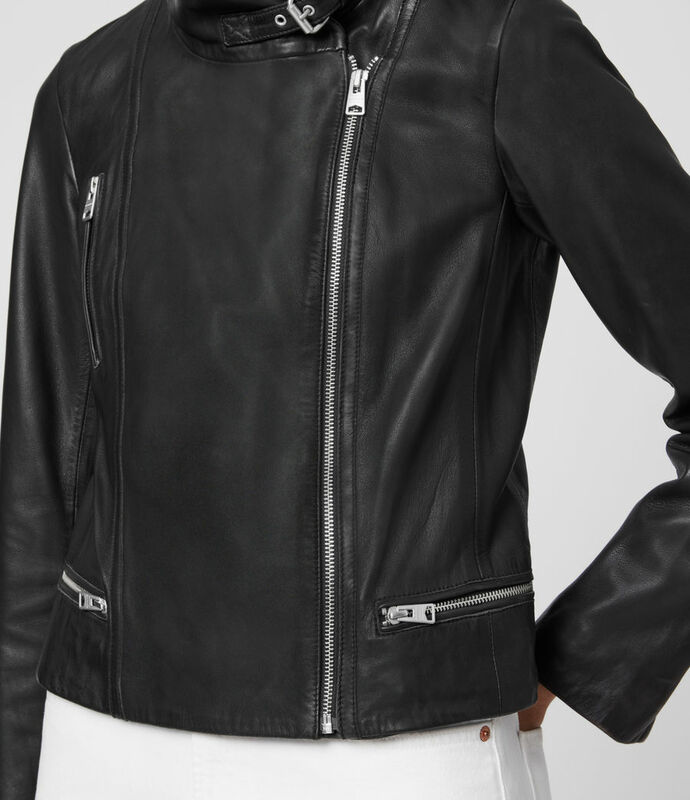 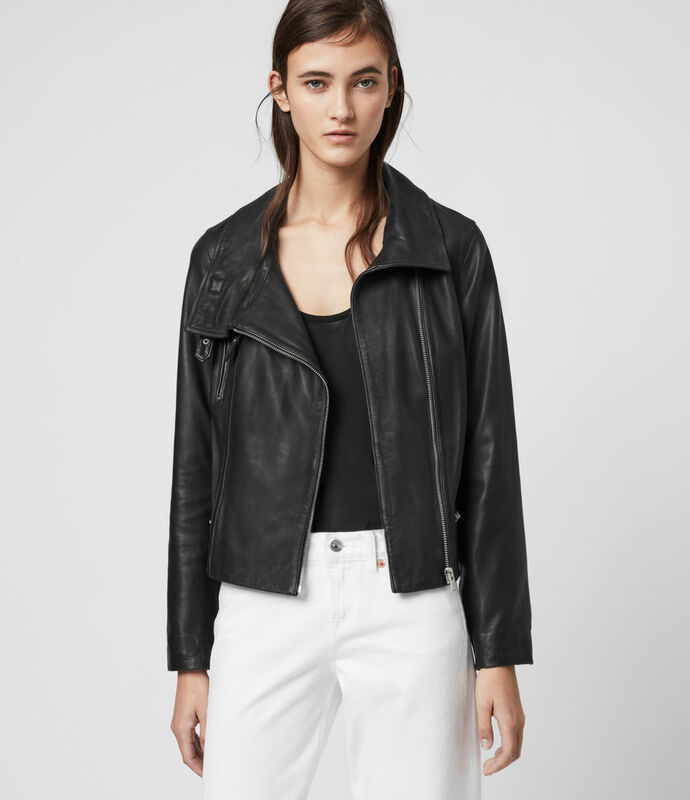 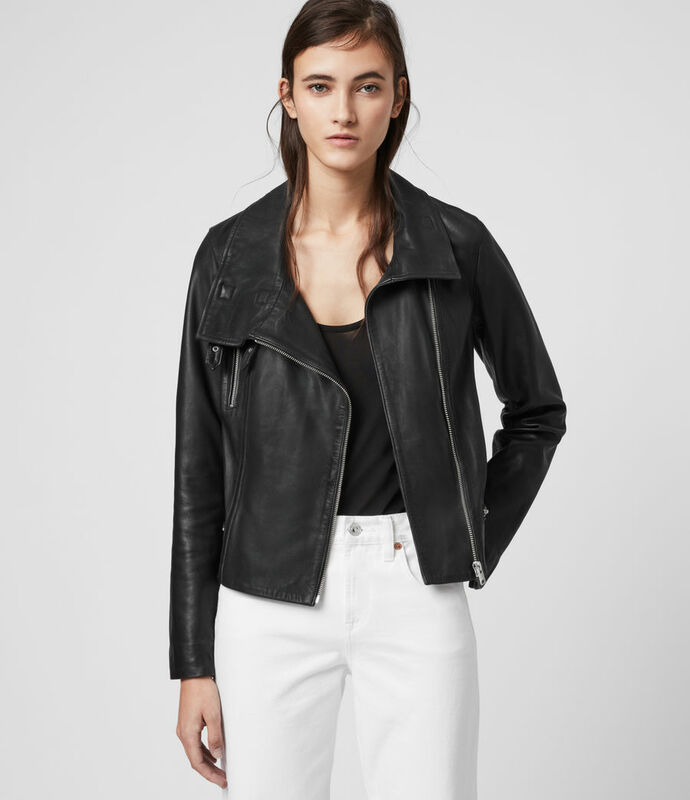 Expertly crafted in lamb leather that's butter-soft to the touch, it's cut in a flattering slim fit with a slightly cropped length and signature zip details, staying true to our renowned biker aesthetic. 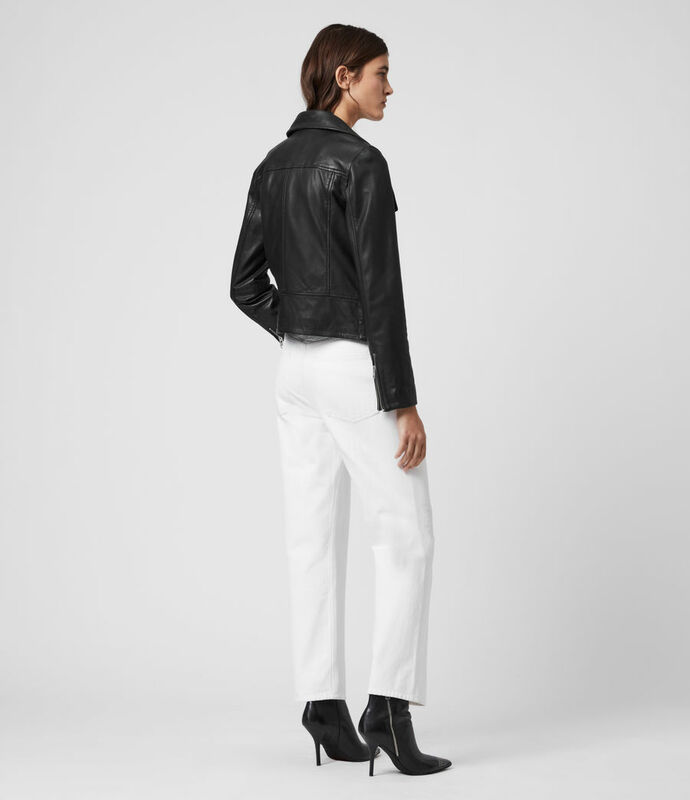 Body lining : 62% viscose, 38% cotton. 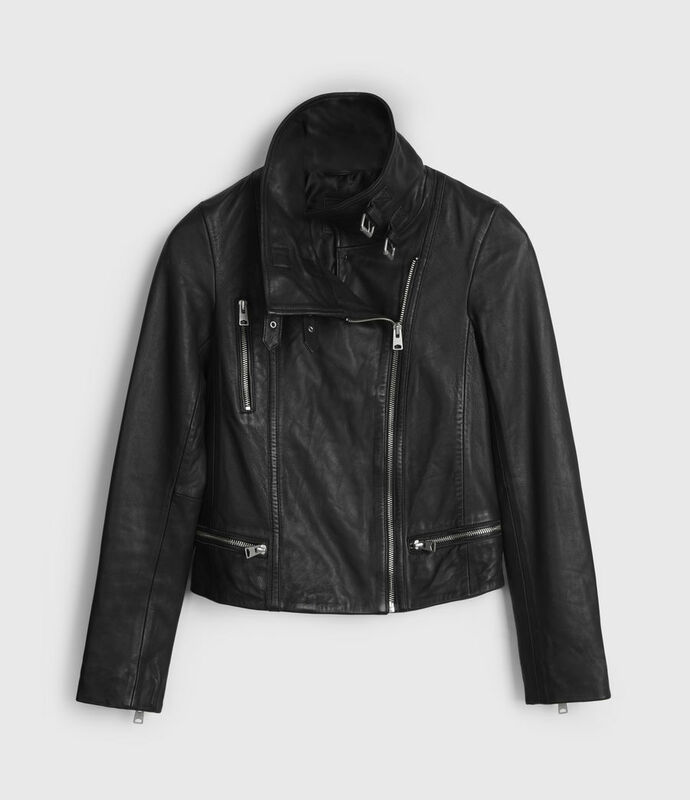 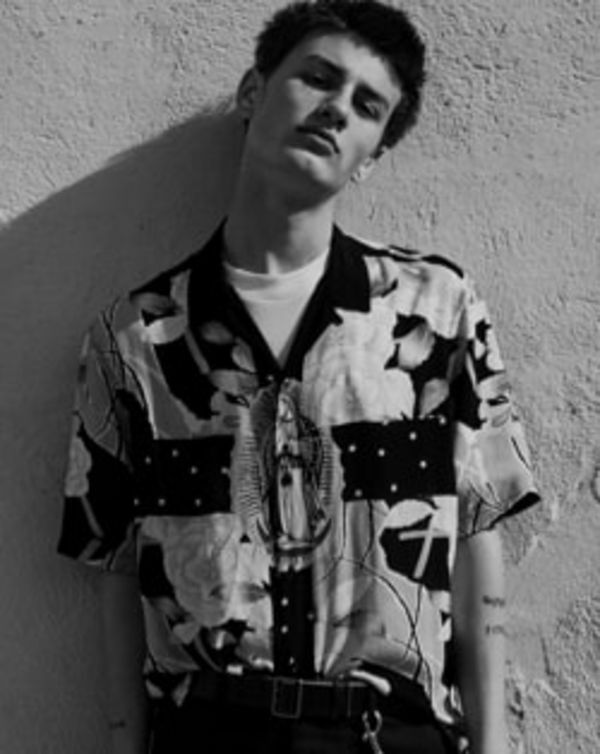 Sleeve lining : 100% polyester.